Hi kids, and welcome to Kidz Kingdom! In Kidz Kingdom you will find a magical display of kids play equipment, where you can have hours of excitement, thrills and fun with your friends. Climb up to the top and be the King of the Castle. Race your friends back down on our crazy, wavy super slide. Or helter skelter down like lords and ladies of the manor! Splash around in the ball pool. Jump and bump on the trampoline. Play hide and seek in all the nooks and crannies, tunnels, cubby-holes and other hiding-places you will find if you look. Play interactive shooting games against your friends — one against one, or teams for more fun! Parents may enter the play area to help and supervise the fun. 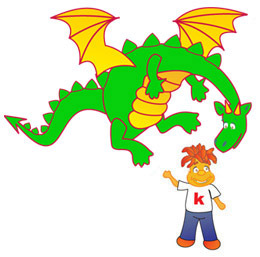 And there are lots of other exciting fun and games waiting for you in Kidz Kingdom! Non-stop fun for all! Don't miss out on our special offers and discounts, including discounts for larger groups of children. Music time with Allie. Free juice and biscuits for all our happy babies and a free and exciting visit from Mickey, Minnie, Barnie... or Peppa Pig (coming soon, ask for details). 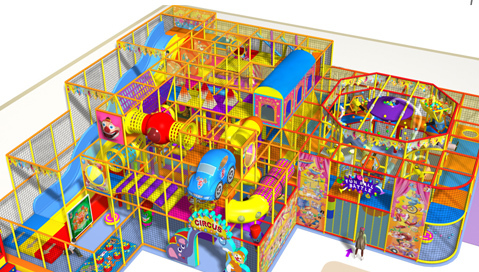 The Junior area consists of 3 decks of fun, adventure and thrilling modular play, including a 3 lane wavy slide for those racing against each other, a spiral slide, a large ball pool, spinning discs, trampolines and many fun-filled and challenging interactive activities. The 2 deck Fun Ball Battle section includes guns, cannons, ball vacuums, a ball fountain and many other interactive ballistic machines. All providing hours of fun, excitement, mental stimulation, and, importantly, good healthy exercise for the growing child. We firmly believe that this kind of healthy activity should be made available at a reasonable cost. Therefore, whilst many of our competitors charge for the use of their facilities on an hourly basis, we do not. You can play all day for the same price!